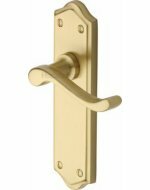 Premium quality solid brass Buckingham door handles, supplied in pairs with follower bar and fixings. 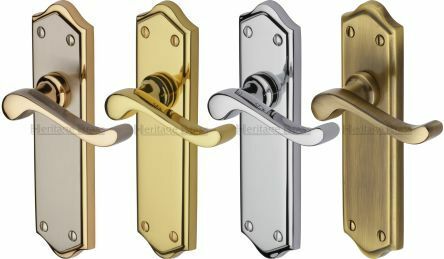 Door handle backplate size 180mm x 50mm. 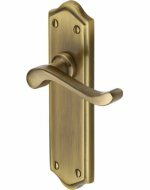 Available in Polished Brass, Antique Brass, Polished Chrome & Satin Nickel with Gold Edge.